Vintage River Ranch: From door to headboard?! 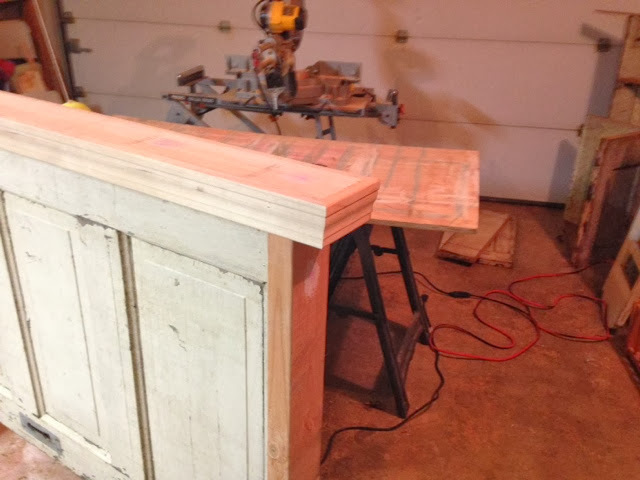 We seem to have a lot of projects transforming old into something new or a new way to use. 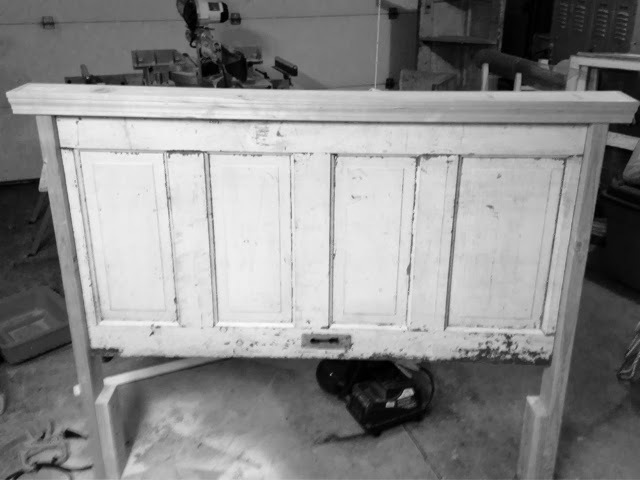 My latest project is a headboard for a full size bed. Here are some great shots from pinterest for inspiration! 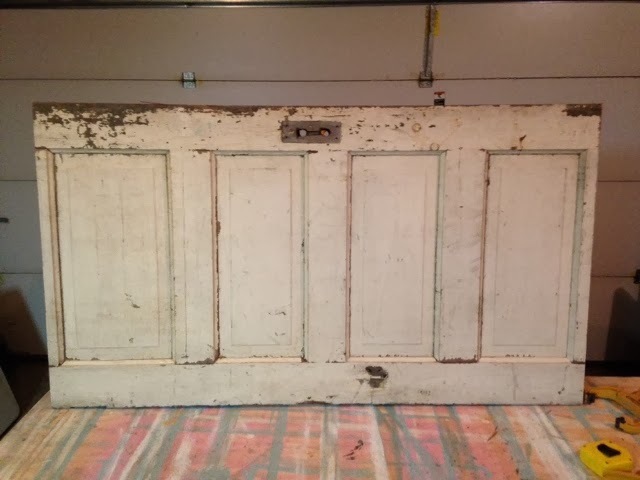 This door started out as a five panel door. The full bed is about 53" so we took off a panel. 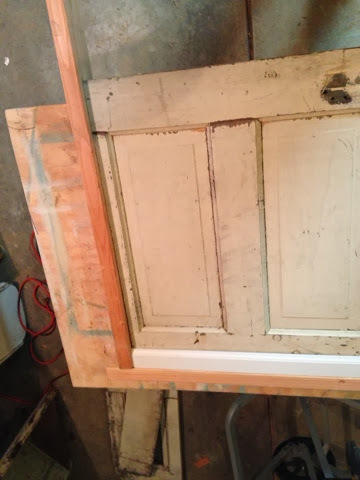 Next using 2x4 the door was framed in. 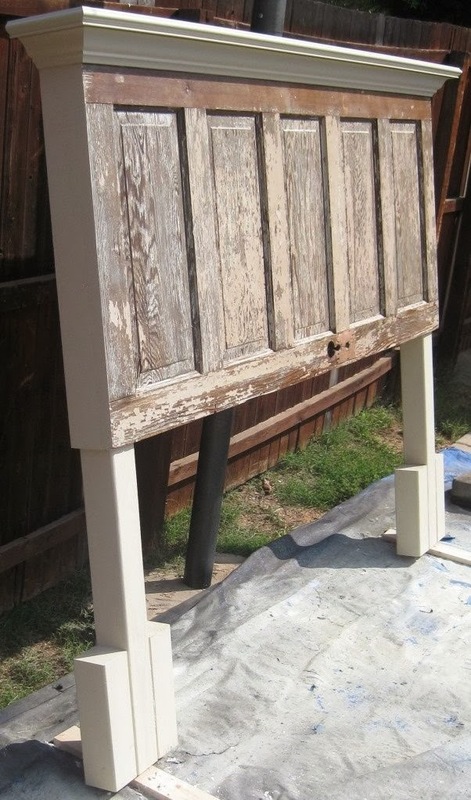 This also put legs on the headboard to attach to a bed frame. 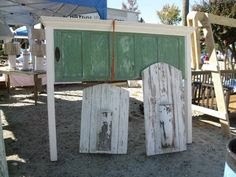 Viola.... A headboard with Tons of character!!! Now to paint this and give it a shabby chic look!!! I absolutely love the way it's turned out so far. The crown molding is making me swoon and the shabby chic look will be perfect for the headboard.